TD Bank funded an 18-year-old man named Mike $30,000 to help have his dream come true in just 24 hours. 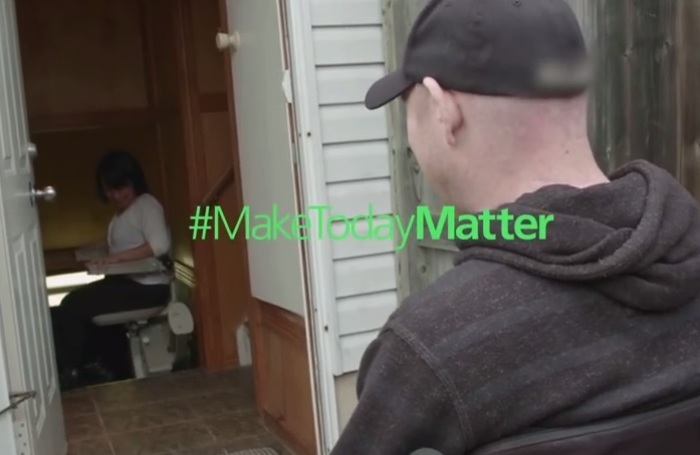 #MakeTodayMatter is the campaign that is making this dream possible. Mike went around his neighborhood, helping those in need of ramps and better accessibility. Many members in his community have trouble walking and getting around because their home is not wheelchair accessible. He and TD Bank got together to do something incredible for everyone in his community. Some of them haven't left their home in years because they couldn't get down the stairs. But, this man brought tears of joy to the eyes of these people when he showed up to help. Mike is now their guardian angel forever! The joy and security he was able to bring to those around him was enough to last a lifetime.